Blacklisted phones are phones that were either reported lost or stolen by its owners and have been enlisted in a national or international blacklist database of service providers and carriers; such that a smartphone which is blacklisted in the USA can no longer be used in all US carriers unless proven found or retrieved by the owner. Despite the bad reputation, these blacklisted phones are being sold widespread in many e-commerce sites, and a lot of victims have been left with a device that’s good as trash in their country. You’re lucky if you bought a blacklisted phone and live halfway around the world because there’s a chance you can use it in another country. If you suspect that you own a blacklisted phone, there are free online resources that allow you to check if your phone’s IMEI is in a blacklist database. So, how do network providers catch and penalize blacklisted phones? Well, they only need two things from you; IMEI and SIM Card data. Unfortunately, carriers are pretty good at catching thieves. Even if you use a different sim card or switch to a different carrier, they will receive your IMEI data and they automatically scan that in the national blacklisted database. 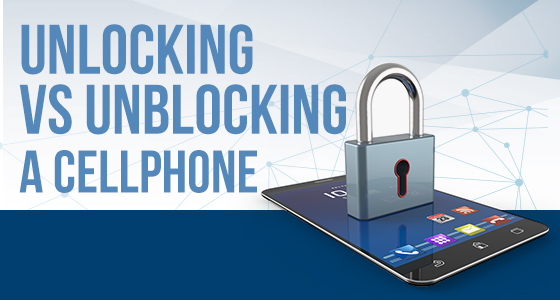 You’re lucky if you can make a call or two, but once they figure out that you are using a blacklisted phone, they will automatically block any attempt to connect to their network and send the information to the police. You certainly can use some time with the police officer trying to answer difficult questions to prove your innocence. Yes, you can, but of course, there are a lot of limitations. As mentioned, you can use it when you bought it in a different country with a different carrier. You can, in fact, get your phone unlocked with us or with any third party phone unlock service provider. On the other hand, unblocking the phone or “clearing” it’s IMEI, as some people would like to call it, is illegal. That being said, don’t fall for any “unblocking” service online because the chances that they are fraudsters are high, and you also don’t want to get involved with an international organized syndicate, would you? Now if you, unfortunately, bought a blacklisted phone, report your seller right away to the e-commerce hosting website (eBay, Amazon, etc) where you got it from. If you bought it from a legitimate and well-known website, you may be given consumer protection privileges, like a refund, etc. Note: We don’t encourage you to buy blacklisted phones, and we only offer a chance to give you a redeeming option to be able to use it. Unlocking the phone is legal, but “unblocking” it or altering its IMEI status is illegal. We are not in any way connected to any organization that does this to people. We offer our services to everyone assuming that it is with good intentions. You can also check this article, to know more about blacklisted phones.